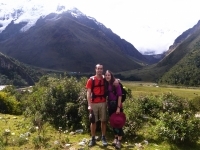 The Salkantay Trek was the experience of a lifetime!!! We had the most amazing group of 11 people from all over the world. Our guide, Lizandro, was fantástico from the get go and spoke great English. Overall this was a great trip. the first day is a warm up - hot but manageable with lots of breaks. the lake at the top of the hill is gorgeous, and worth the tough trek up. 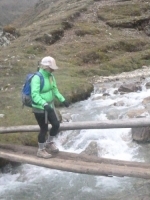 This Trek is definitely worth doing. Quite varied landscapes, all of which are worth a photograph or ten. Our Guide was quite informative and seemed to know quite a bit about the local flora, fauna and trades. Things seems to run late in Cusco, maybe they like sleeping in, but you don't worry they will pick you up. 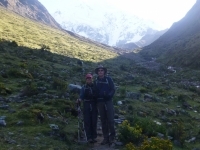 Great time on this 5 day trek. 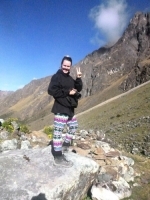 Spent 4 days trekking through the mountains with a great group of people up Aguas Calientes. Had great equipment for tenting at night and ate the best food daily. 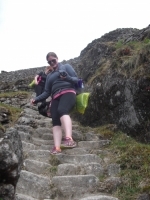 Really fun trek lots of amazing views. met some amazing people that made the 5 days so much fun and made the really hard bits easier :). 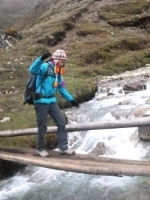 The Salkantay trek was the perfect adventure. I had high expectations going into it, and it far exceeded. 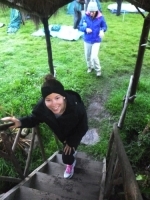 The staff were exceptional, always going the extra mile to ensure the group's comfort and enjoyment. Such a great time! Met some awesome people and felt well taken care of throughout the trek. The food was amazing, the hikes were challenging, and the guide/cooks/horseman were incredibly helpful. 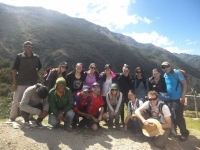 Great start on day one, we began with a nice easy trek and got to know the people in our group. At the campsite we enjoyed a lovely meal and prepared for day two. This was a great way to end our trip in South America! 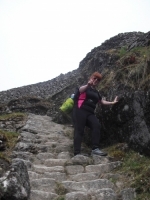 I did not know what to expect, when we booked the Inca Trail, but I am very happy that we did it. 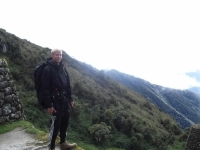 Reach 4600m with Inca Trails ! 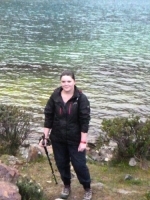 Je recommende le trek de Salcantay pour les personnes qui sont a la recherche des elements suivants : une aventure a travers les highlands du Perou, un challenge en terme de hiking et de trekking (attended vous a des reveils plutot tots ainsi qu'a de longues heures de marche) ainsi qu'a une experience eprouvante mais inoubliable !!. We decided to do the city tour first which I highly recommend. Downtown Lima's historic district is a must see. Miraflores also has an awesome cat park for all the cat lovers. Bring treats. 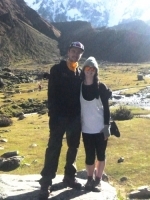 Salkantay Trek was absolutely amazing. The day hiking over the pass was incredible and exceeded my expectations. It was very difficult but as long as I walked slowly I didn't get so winded and it was much easier than I thought it was going to be.